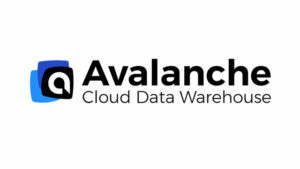 Actian, the hybrid data management, analytics and integration company, announced the Actian Avalanche cloud data warehouse, a fully managed service solution available on the AWS cloud platform. This innovative, third-generation, cloud data warehouse delivers breakthrough levels of speed, flexibility and economics designed to make it easier for companies to deploy and scale data analytics services in the cloud while saving millions over traditional data warehouse solutions. As enterprises continue along their digital transformation journey, it’s imperative that they derive more value from their diverse, hybrid data to improve profitability and remain competitive in their industries. However, traditional data analytics solutions have substantial limitations when it comes to complexity, cost and performance. Similarly, first-generation cloud solutions have also experienced challenges in areas of concurrency, performance at scale and resource optimisation. Many organisations, while embracing the cloud, still critically need to address their hybrid data legacy on-premise as well as compliance requirements. This need for faster insights to guide real-time decision making is driving a shift from traditional approaches to a new generation of operational data warehouses that deliver real-time insights for a diverse range of workloads. Companies need the enterprise-class performance and security capabilities of a data warehouse, combined with the elasticity of the cloud, to create a new generation of data-driven insights. Actian Avalanche’s innovative FlexPath technology is designed to deliver superior computing resource elasticity enabling organisations, based on business needs, to scale back compute resource consumption by as much as 85% resulting in significant cost savings. Actian Avalanche relies on the Actian’s patented X100 analytics query engine technology designed to deliver linear performance improvement at scale. Combined with Actian’s comprehensive portfolio of analytic database solutions the company is uniquely positioned to address data analytic needs in the cloud, on-premise or a combination of both.